The new Sportage is available at Orillia Kia. Be ready for anything. Orillia Kia | The new Sportage is available at Orillia Kia. Be ready for anything. The Kia Sportage, the SUV that's always ready. The Sportage's mix of bold features make it equipped for any situation. A standard 2.4L engine producing 181HP comes standard. For those looking for that extra kick and power there is an optional 2L turbo-charged engine producing 235HP and 260lb-ft of torque. 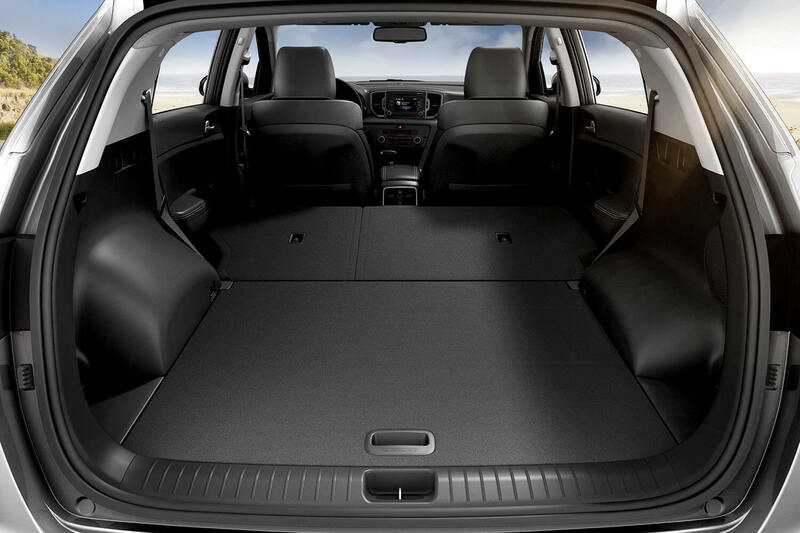 Quick and easy in and out access keeps you on the move and limits the your time packing and unpacking the 2018 Sportage. Thanks the spacious design as well as to proximity technology, standing behind the lift-gate with the smart key in your pocket will cause the Smart power lift-gate to open. Available Dynamax™ Intelligent All-Wheel Drive (AWD) offers fully automatic torque distribution that proactively transfers torque for better traction during times such as acceleration, cornering or in low traction scenarios to maximize the driving experience and safety. The 2018 Sportage is also proud to be a 2018 IIHS Top Safety Pick as well as receiving a 5-star NHTSA safety rating. Visit us to start your next trip with a Kia Sportage at Orillia Kia today! Trailer hitch, roof rack, cargo box, trunk rear bumper protector.